NeoCare was formed to exploit a technology for non-invasively monitoring patients in UK care homes, initially developed by the Centre for Intelligent Monitoring Systems at Liverpool University. The product uses a ceiling-mounted optical sensor coupled with novel software to monitor and analyse changes to inhabitants providing an alarm on a remote linked PC. Tritec became involved with the project at an early stage, helping to form the technical specification of the optical sensor and indicating the best technical approaches to adopt. We were able to offer the client a complete design service starting with the selection of the optical sensor, viewing optics and top level electronic design and moving onto detailed digital design (using an integrated image sensor, microprocessor and logic array) and power supply design (using a Power-over-Ethernet module). 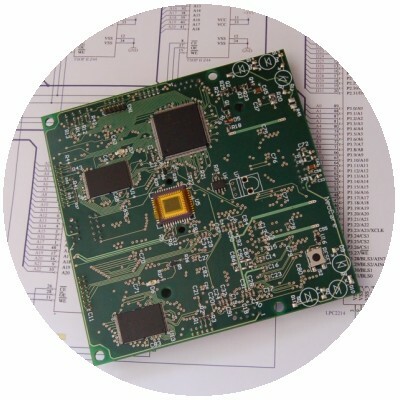 Close integration of the electronics and the firmware, and placing the low-cost image sensor chip directly onto the digital electronics board enabled the client to achieve a very cost effective design whilst still maintaining the flexibility for future enhancements to the product. Our engineers developed the logic design and firmware for processing the images generated by the sensor and, working closely with the client, created the software interface between the sensor and the system computer. Tritec’s experience in machine vision and it’s unique range of skills meant that it was ideally suited to finding the most cost-effective design path. By close cooperation with the client we were able to meet the very tight time-scales, completing the project in less than five months from specification to working prototype.